The Operational Directorate “Solar Physics and Space Weather” is known internationally as the Solar Influences Data analysis Center, SIDC. The mission of the “OD Solar Physics and Space Weather” is to advance knowledge on the Sun and its influence on the solar system, through research and observations. We provide this knowledge and expertise to the scientific community, to the society, the government and the industry through operational services and dissemination at both the national and the international level. 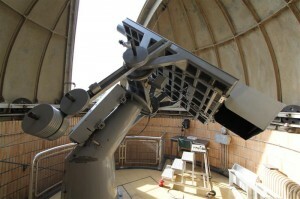 The Uccle solar equatorial table (USET) is our optical solar monitoring facility, imaging the Sun in visible light. The objectives of USET are the production, archival, distribution and exploitation of global information about structures and events in the photosphere and chromosphere, as part of the continuous world-wide ground-based monitoring of solar activity. 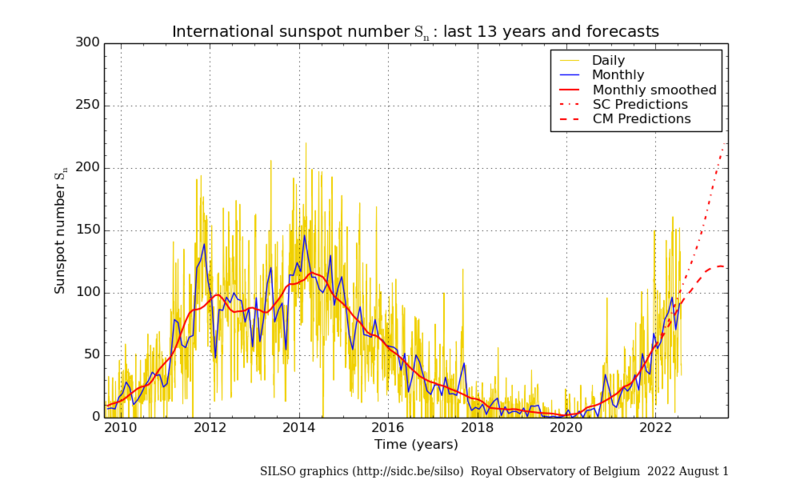 The international sunspot number , that we produce here at the World Data Center SILSO, is among the longest running time-series of solar activity. In this context, it is our objective to preserve, develop and diffuse the knowledge of the long-term variations of solar activity, as a reference input to studies of the solar cycle mechanism and of the solar forcing on the Earth’s climate. We provide operational space weather services through the “Regional Warning Center Belgium” (ISES) and our ESA/SSA activities. The objective is to provide high quality and timely information on space weather, both review reports, alerts and forecasts. 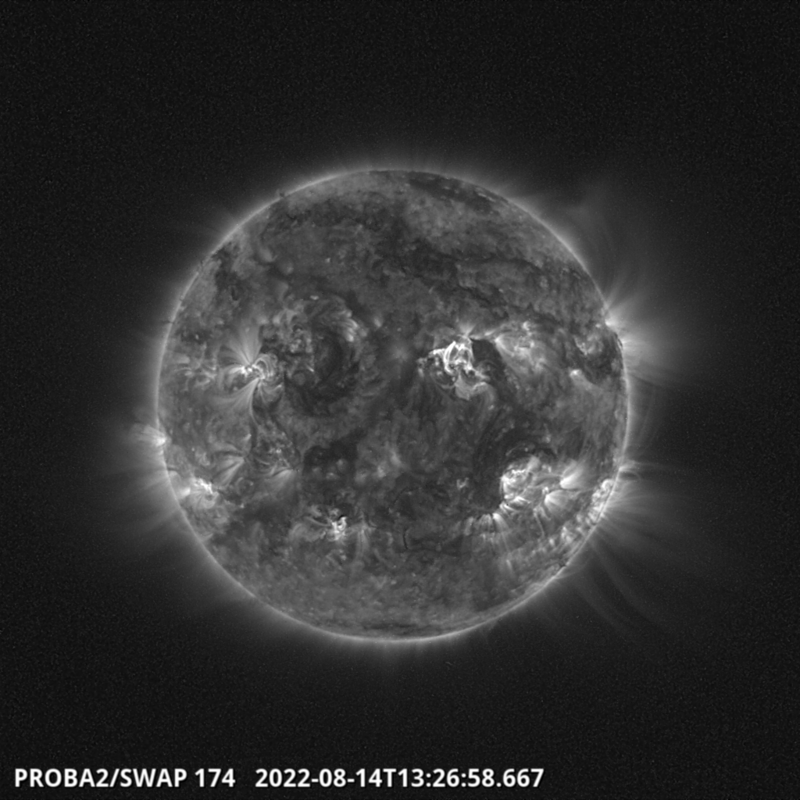 We have pioneered the application of advanced image processing techniques on solar images ( CACTus, SPoCA, soFAST, …). The objective is to automate the production of metadata, event-catalogues and higher-level data products such that large data volumes can be efficiently and timely handled. We have built key expertise in hardware technology such as wide band gap photodetectors and CMOS active pixel sensors. The objective is to develop advanced technology in support to the next generation of solar scientific instruments. In support to this objective, DeMeLab is a STCE/ROB facility that we use to perform high-quality characterisation and calibration of instrument components (e.g. detectors, LEDs, filters) and to calibrate flight models of future space-based instruments. We operate a science operation center for the PROBA2 mission and we are preparing a similar facility for the EUI instrument onboard Solar Orbiter. The objective of this activity is to have critical influence on the detailed operations of space instruments, from the time they are designed, up till the time when they acquire essential data sets. Various of our activities have addressed their need to distribute and visualize solar data (SWB, SDO data center, STAFF). Our objective on the long run is to even better address this need by setting up common services (FITS I/O service, a metadata service, an ephemeris service, a logging service, a workflow service, a data storage service) on which the other activities can depend. A significant part of our research is embedded in, and applied to, the above observational and operational activities. Such applied research is only viable if it is in perpetual discussion with research at a more fundamental level, where our objective is to advance knowledge on the Sun and its influence on the solar system without constraints. Just like research, a large fraction of our dissemination activities is embedded in the different activity themes discussed above. Some dissemination activities however are wider in scope and effort: provision of a coherent website that overviews all our activities and provides general information, the organization of big international conferences. The objective of our internal dissemination (seminars, student training, etc) is to share the pleasure of insight, build team spirit and reinforce mutual collaborations.